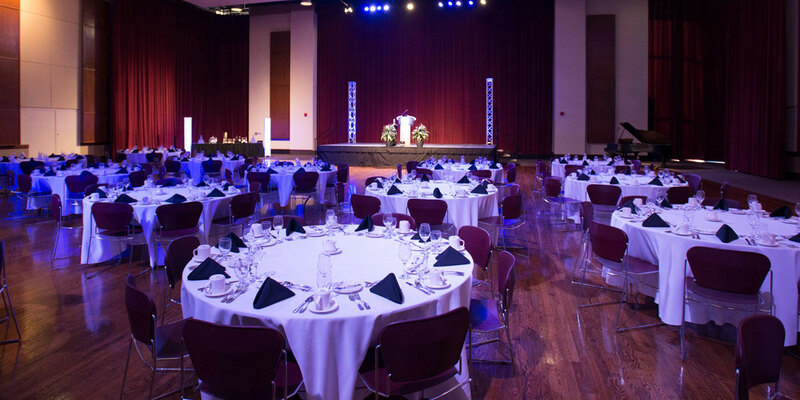 The Technical Services Department in the Morris University Center is here to support all of your audiovisual and technological needs, making sure your event runs smoothly. Whether it’s a presentation, small webinar or Ballroom event, Technical Services has you covered! Services range from laptops and projectors to large-scale audio and lighting. Tech services can also assist in the execution of your event’s audiovisual needs. Techs are trained and equipped with extensive knowledge of event planning and the technological systems that your event may require. Tech Services strives to make your event a success. Does your event need A/V or Tech Services? Call (618) 650-3025 and start planning your event!